Glaston, 42, was among the dead in the Tuticorin firing. His family members tearfully recounted to a visiting team from inmathi soon after the incident about how he helped them flee the spot but he himself became a victim. Now, the inquiry commission has summoned him to appear before it and depose regarding what happened on that fateful May 22. The one-man Aruna Jagadeesan enquiry commission has sent a letter to Gladson at his Threspuram residence asking him to appear personally before the commission and give his testimony. The commission has been constituted to inquire into the firing and the circumstances that led to it, as well as damage to public and private property caused during the incident. The letter has asked Glaston to appear on August 29 by 10am at the Government Tourist Bungalow where the commission is functioning. The letter has been signed by the court officer and gives the full address of Gladson. 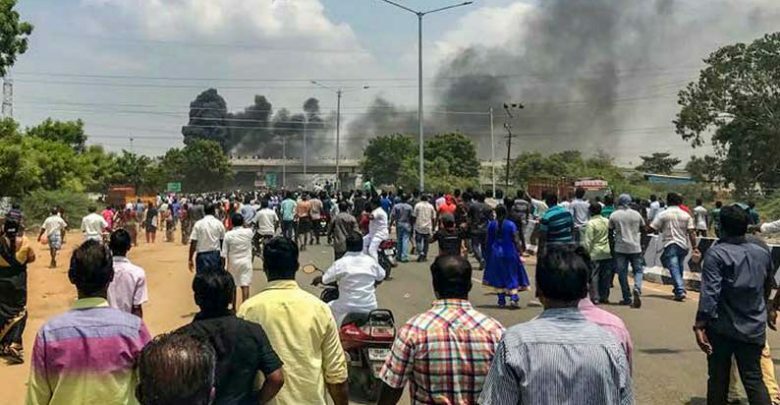 Confirming this, Shaji Chellan, a lawyer with the Madras High Court Madurai Bench, said: “The inquiry commission has not functioned as per relevant rules. The concerned GO talks about disturbance to law and order that led to the firing. The order seems to suggest in advance that the firing happened only due to breakdown of law and order. Then it was said that eyewitnesses can appear to give their testimony. This goes against rules for commissions of inquiry and prevented activists and lawyers from appearing before the commission since they may not have been eyewitnesses. We got this corrected later. Now, they have sent summons to a dead person. It seems the entire inquiry is an eyewash.” Shaji Chellan has appeared in several cases relating to the firing, most recently when the High Court ordered a CBI inquiry into the firing.